Black Milk "Album of the Year" - let the debate begin. 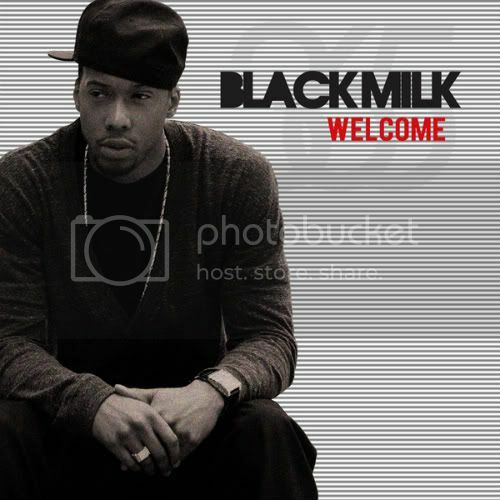 Before I heard any music from Black Milks forthcoming "Album of the Year" my gut reaction was hmm, probably not. I say that as a Black Milk fan too - I love his music to dance to, but I don't think anyone could really say hand on heart that he brings anything particularly exciting to the world as a rapper. The thing is, I believe that's exactly what the album of the year should do - it should be something you will listen to and will still be relevant in 25 years, that sets a musical benchmark for others, and that will have an impact on hearts and minds. I have a sneaking suspicion this album will only be your album of the year if Black Milk is your favourite artist, or your criteria for praising music is based on loyalty or fashion. When I first heard about the title (after my first thought of probably not), my second thought was hmm I hope there's a really clever title track on there about how the idea of an album of the year is too subjective to be relevant and we should stop trying to make ridiculous lists & categories to box music in to neatly (insert repeat of first thought here), and thirdly I thought of the salivating critics who would gleefully rip it to shreds if it wasn't truly special in some way. This new track from the album is a solid Black Milk banger. However it's exactly what I would expect to hear from him, which personally I find disappointing. I feel that I know less about Black Milk's personality, life or view of the world than most rappers, and I refuse to believe he hasn't had enough life experience so I assume he's holding back. Since I am a fan first blogger second, I'm not going to judge the merits of this album on the basis of its suggestive and presumptuous title, and will just enjoy it for what it is when it comes out, but I'll be interested to see how the often rather worryingly sycophantic or highly critical hip hop press reacts.